Horn Plexi Table 1929 53cm approx. 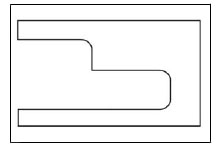 Spare cut to fit your machine or blank inserts available. For insert which has a lip / rebate around the edge. Approx size: 530 x 285mm.